If you live in an apartment and you’re looking for a furry companion to share your life with, you may be thinking about adopting a puppy. Small breed dogs are extremely popular among families in Indiana for a variety of reasons, including the fact that these tiny canines are considered to be “portable” and they can fit into small carriers for easy transportation. Before you start shopping for a new dog, it’s important to do your research on the popular types of lap dogs available. 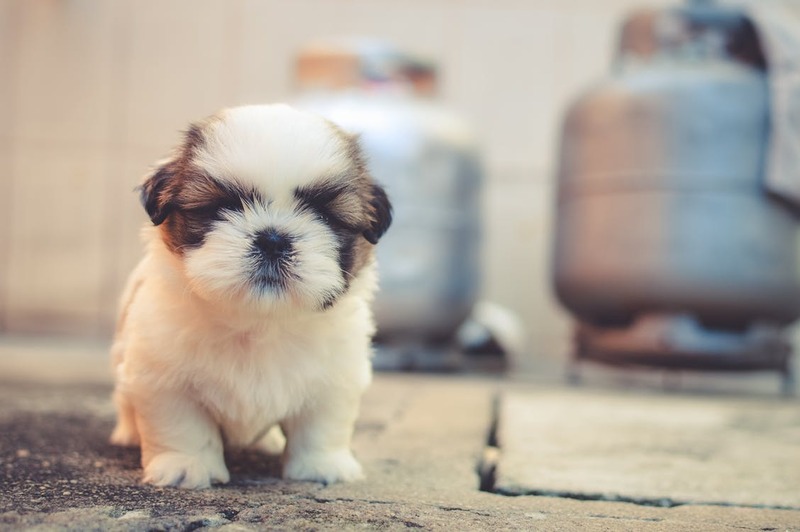 In this blog, we’ll discuss the top five small dog breeds to consider for your home, and the different characteristics and personality traits of each one. 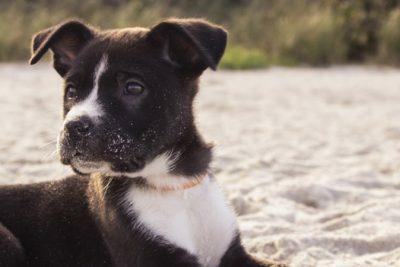 If you’re looking for a reputable and safe place to find the perfect puppy for your family, visit vippuppies.com today. 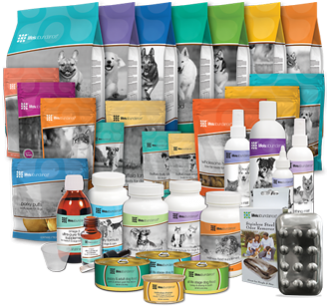 We only do business with reputable sellers and breeders who are committed to their puppy’s well-being. We also offer additional resources to help you prepare for the ups and downs of puppy parenting. To truly optimize your experience, we encourage you to become a member in one of our online communities before making your puppy purchasing decision. This way, you’ll have an opportunity to talk with other members and better understand the commitment that is required for welcoming a puppy into your home. Check out our puppies for sale and puppies for adoption online today! The Yorkshire Terrier’s bold nature can be attributed to its ancestors, which include the long-extinct Clydesdale Terrier and the Black-and-Tan Terrier. Also referred to as Yorkies, this miniature dog breed developed in England in the mid-19th century. While these dogs tend to be very small in stature, the Yorkie’s large personality brings love for affection, adventure, and activity to every family that is lucky enough to have one. One of the hallmarks of a Yorkshire Terrier is their unique coat color, which often features a clear shade of tan with a dark, steel blue hue. This breed’s coat tends to be fine and silky, and is often trimmed to floor length for dog competitions. 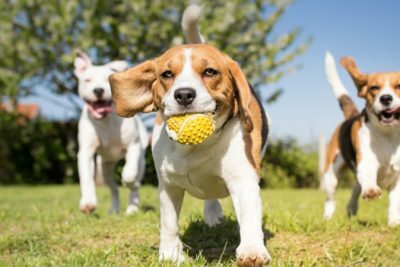 These dogs love to exercise, and they can often be found playing outdoors and indoors without much encouragement. With an impressive lifespan of 14 to 16 years, the Yorkie is prone to minor health issues such as patellar luxation. The Bichon Frise is one of the small dog breeds that has existed for the last 2,000 years. The American Kennel Club describes this breed as, “a white powder puff of a dog whose merry temperament is evidenced by his plumed tail carried jauntily over the back and his dark-eyed inquisitive expression.” These little white furballs were initially found throughout the Mediterranean, and they flourished due to their small size and charming personality. During the Renaissance, these dogs could be found at the royal court in France, and they can even be seen in portraits as the companions of fine and wealthy women. These dogs love to be the center of attention, which isn’t surprising due to the fact that they were adored by royalty. As far as activity goes, the small Bichon Frise doesn’t need too much playtime to be happy. These dogs tend to be fairly easy to train, and they tend to be a great option for first-time homeowners. It’s important to note that separation anxiety is common among this breed, which can result in chewing, barking, and crying while you’re away. While the Bichon tends to be a wonderful family pet, they may not be a great fit for families with small children. Another popular lap dog to consider is the Cavachon. This mixed breed is a cross between a Cavalier King Charles Spaniel and a Bichon Frise. Since this adorable breed is a blend of two pure breeds, its history cannot be specifically pinpointed. This small dog breed typically weighs between 12 and 18 pounds, and it features a very fluffy and curly coat. Regular grooming is a must for this breed, and their hair can grow anywhere from three to five inches. As a fairly active small dog breed, the Cavachon loves to exercise and play. While the temperament and behavior of the Cavachon can vary from breed to breed, they tend to be very intelligent and can be fairly easy to train. For the most part, the Cavachon is a very healthy breed, but they can still be prone to ear infections, eye issues, and heart murmurs. The Pomeranian is a unique breed of lap dog that was discovered in the 1800s. Queen Victoria became enamored with this breed, and they were a favorite among the public due to their smaller, compact size. While these little furballs can grow to be between 7 and 12 inches tall, they can also weigh anywhere between 3 and 14 pounds. Another distinctive characteristic of this fun-loving breed is the luxurious puff of fur around their chest and neck. As far as their personality goes, Pomeranians are most known for being smart, curious, energistic, and fiesty. They love to play with others and be the center of attention, and they can make a great dog for families with older children. The Miniature Schnauzer packs a ton of personality into a tiny package. Like other terrier breeds, these tiny dogs love to soak up as much attention as they can. These sturdy canines love nothing more than to run and play outside with the people they love. 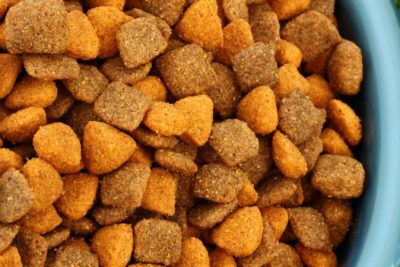 These furballs are incredibly smart, so watch out for them opening your kitchen cabinets and closets for food and toys. This dog breed exhibits all of the classic terrier traits, including: barking, digging, chasing, and suspiciousness of strangers. We hope that this article helps you narrow down which dog breed may be a good fit for your family. If you’re looking to adopt a puppy or buy a puppy online, be sure to visit vippuppies.com today. We provide a safe and easy place for you to find the perfect puppy, and we only do business with reputable sellers and breeders. If you’re interested in learning more about our services or you have questions regarding a specific puppy on our website, contact us today!